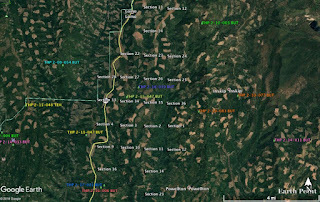 THPBlog: Sierra Pacific Industries planning a huge clearcut logging project NE of Chico, CA. 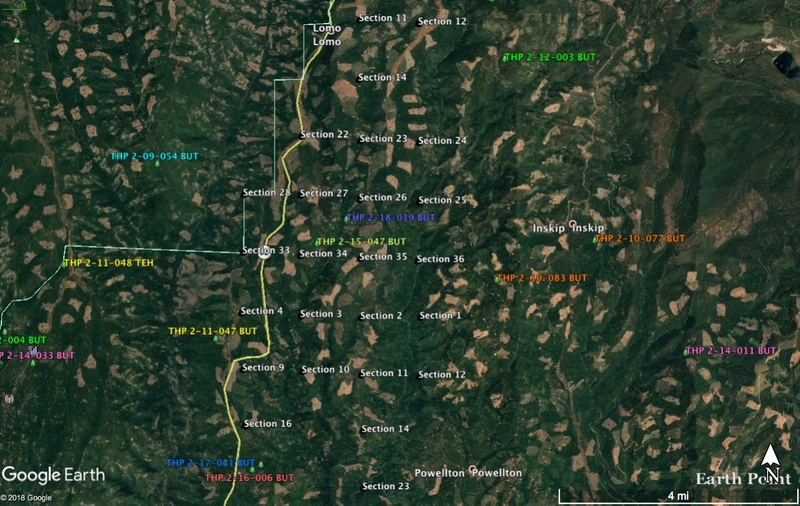 Sierra Pacific Industries planning a huge clearcut logging project NE of Chico, CA. This THP is about 16 miles NE of Chico, CA spanning a length of 9 miles between Forest Ranch and Lomo off Highway 32 at an elevation of 2,400 to 4,000 feet. Sierra Pacific Industries is planning a mostly clearcut tractor and cable logging operation on erosive slopes in Douglas fir, white fir, ponderosa pine, sugar pine and incense cedar forests. Roads are proposed for use inside class II (mid sized) watercourse areas, and roads and landings are proposed for use and construction during the winter period. 26 road drainage sites are planned for work including rocking, dip construction, ditch cleaning, culvert repair/replacement and restoration of washed out crossings. There is a goshawk nest within .25 miles of road 70F in section 22, and osprey were reported in sections 14 and 23. Hall’s rupertia was found in sections 1, 6, 7, 11, 12, 13, 23, 24; shieldbract monkey flower was found in sections 23, 26, 27; Indian manzanita was found in sections 12, 23, 26; Sanborn’s onion was found in sections 10, 11, 23, 26, 34; night blooming false bindweed was found in sections 1, 2, 3, 13. 23, 26, 35, sulphur flower buckwheat was found in section 3 and giant checker bloom was found in section 1. There are 6 CA spotted owl nesting territories within .5 miles of the THP area in sections 10, 11, 12, 14, 15, 16, 23, 24, 28, 33, 34 and 35.